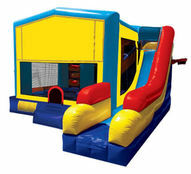 Inflatable Interactive Units will get your event bouncing and moving! You'll love the options we have to get for your event and the ability to make it huge! Let us know what you're thinking so we can help you get the largest saving we can. All in One Sports Arena - It's All in ONe, Awesome! One event arena to rule them all! 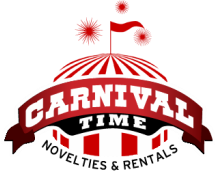 You got joust, basketball, soccer, twister and more for less! Get the field of bounce going. Sticky Wall - Bounce and Stick! 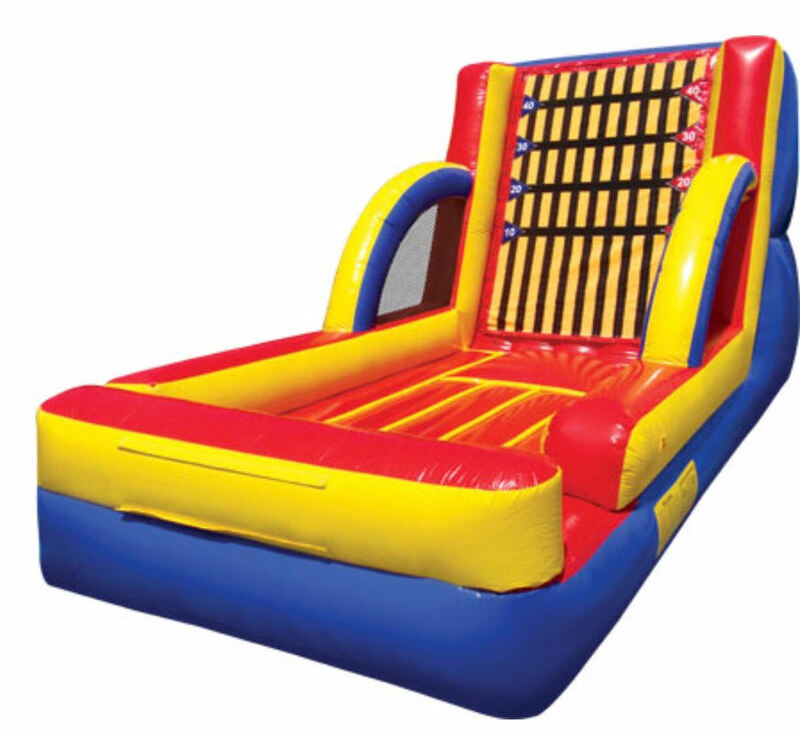 This obstacle gets you in your velcro dream suit, you'll compete against your other party members to see who can jump the highest on the wall. Bragging rights come guaranteed! Comes with hoola hoops and you'll have fun throwing the rings to score higher than any other competitor in history! Probably not going to be an olympic game, but it might! Practice at your next party to join the US Ring Toss Olympic team, if it ever comes about, you'll be ready! Skee ball on this level takes your game to the next level! 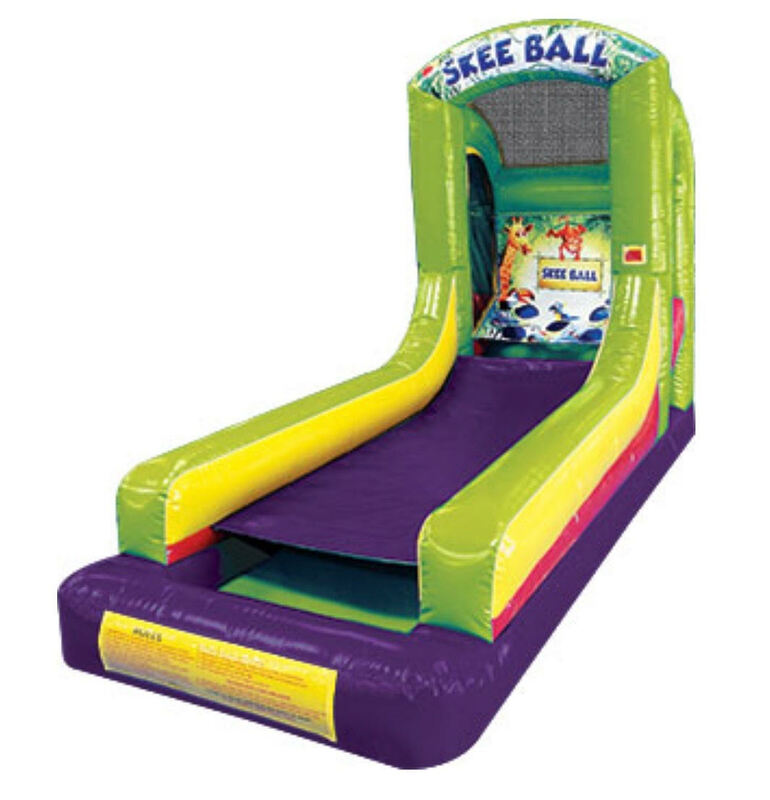 Make it happen for the little rascals with this inflatable! Challenging, football chucking at it's finest. 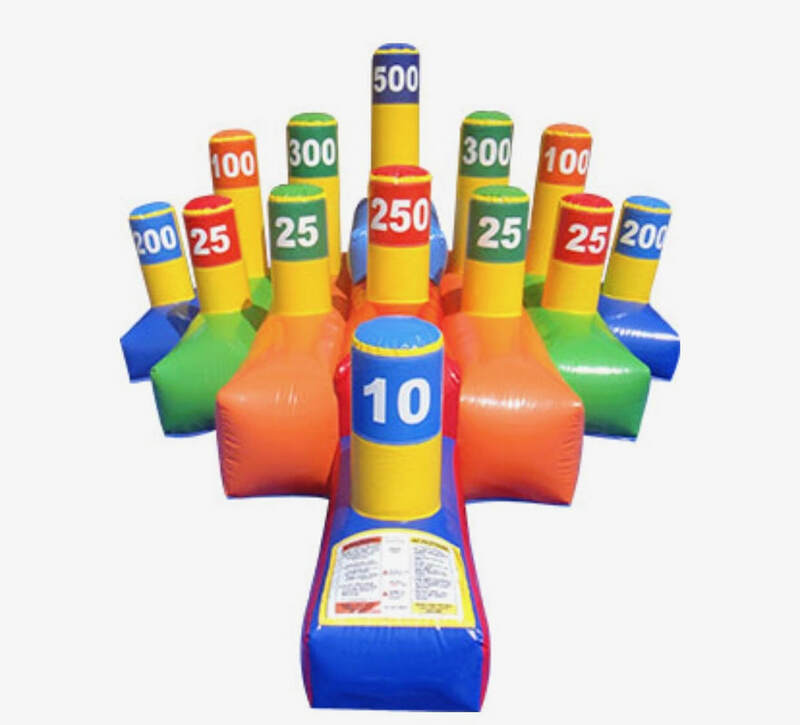 This inflatable will get your little football stars going at the party! Go Hawks! Joust, Pugil Sticks whatever. 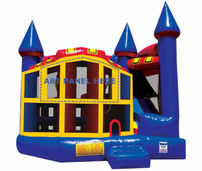 You party people will love to beat each other down with this complete rock'em sock'em joust arena. Invite your inlaws over to show them why they shouldn't stay so long. Show the neighbor kid who's boss. We think you'll love the arena too, you know "it's for the kids". Soccer Shootout won't shoot your eye out. Instead this soccer star ready will make Pele' happy to have you practicing for the next World Cup. Zorbs or hamster balls are the latest craze. Speed down the track and back against your opponent for exciting heart pounding fun. You climb into the Zorb and then crawl/run inside to create the action to which the zorb will roll.